Home / The Hippo Goes DUSTLESS! Dust control is the focus of industrial health authorities and organisations globally. Dust and respiratory health issues are closely related and a major concern in the construction industry. This photo shows a Hippo Mixer without the new lid being used and the dust that is created. 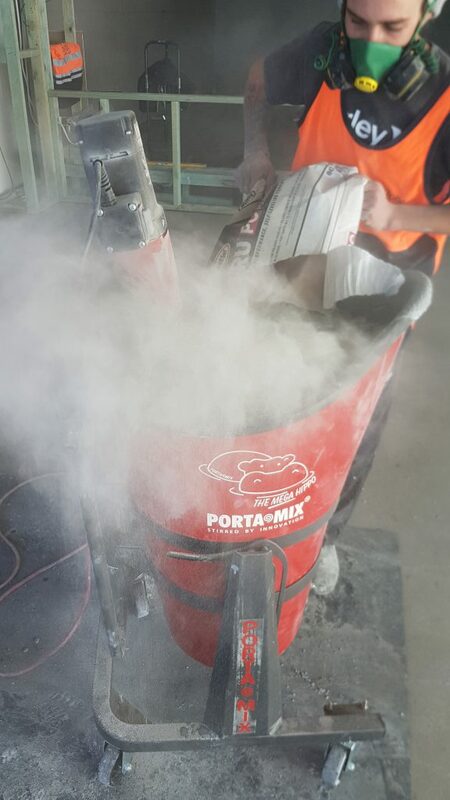 Portamix® has come up with a solution to combat dust and discomfort for MEGA HIPPO® users. 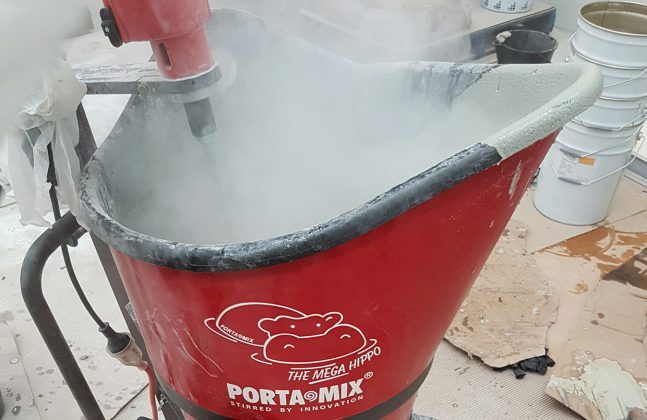 A specially designed lid has been developed so that when fitted to a MEGA Hippo and connected to a dust extractor via the extraction port in the canister, dust is controlled effectively. Careful thought has gone into the design to make it as effective as possible as well as ensure the Hippo is easy and convenient to use as always. The lid is easily fitted to the canister and has a front opening section to allow material to be poured into or out of the canister. Take a look at the Hippo Mixer’s new, dust reducing lid! When the Hippo is connected to a vacuum unit, the airflow going into the canister controls the dust which stays inside. Even without a vacuum attached, the dust escaping from the canister is greatly reduced. Closing the lid while mixing reduces more dust or splashed material escaping – This also helps to reduce mess and clean-up time. Once the material is mixed, the front hinged section of the lid can be opened and hooked back to allow the material to be poured out. 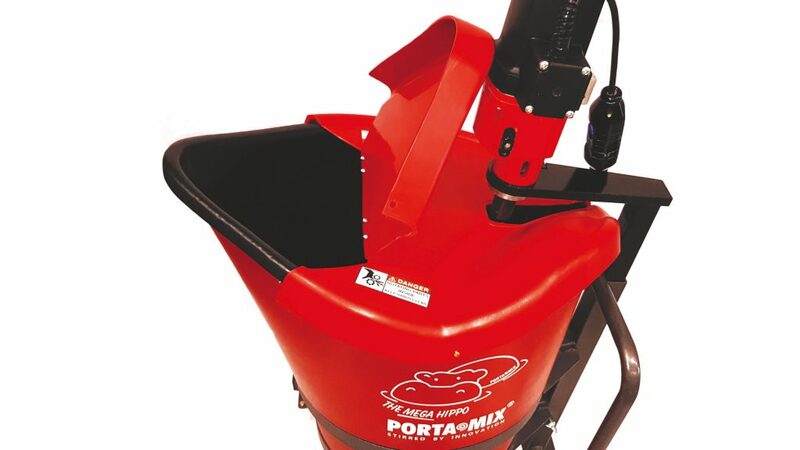 If the operator prefers, the lid can be removed easily giving easy access to the inside of the mixer. The lid can also be fitted to MEGA Hippo mixers already in use. Miles Suckling is the director at The Intex Group and supplier of Hippo Portamix® systems.